Jordan Malone is 5'6", 140 lbs. His motto is "Sure you might get by with less effort, but why risk it?" He has won multiple medals and has his mind set on an Olympic future. What is short speed track racing? Short speed track racing is where the participants try to finish a 111.12 meter oval ice track as fast as possible trying to beat the other racers. Gloves are one of the most important things to wear. They wear gloves because when they turn their hand is placed on the ground to help them with their balance, and it protects them for other people's skate blades. The skaters wear goggles to protect their eyes from wind and ice chip. Goggles are not required to wear but some of skaters wear them to be on the save side to protect them self for the wind, and ice chip. The racers must wear skin tight fitting racing suits. The suit MUST conform the the skaters body shape. These skin tight outfit help reduce wind resistant. They have to wear helmets to save their self of head injures in case of crashes with other competitors and or ice and walls. The helmets are hard and plastic. They wear protective wear over their knee/shins. They sometimes even wear neck guards because it protects them from the person's blades in front of them. The skates lace of higher then usual skates, and they have molds inside that are customized. The molds help with turns because it's heavier material that stabilizes the foot, and ankle. The blade on the skates are really sharp as well as bent in an arc. The arc mirrors the direction of the turn. The blades are also placed off-center to the left due to the fact that it helps the boot not touch the ice when turning. Now, This video is very heartwarming and interesting. This video is about his dog oly, and how much his dog helps him as an athlete, and makes him happy. This video is about the story of Jordan Malone. It shows multiple races he has participated in. It shows the medals and what of a Champion he has became. It gets very interesting as the videos goes on. Also there are some inspiring quotes through the video. Malone was inspired by Apolo in 1998. Apolo had inspired him to go from inline skating to ice. He mad the switch to ice in 2004. He waited to switch because he didn't want to regret missing anything in inline skating. 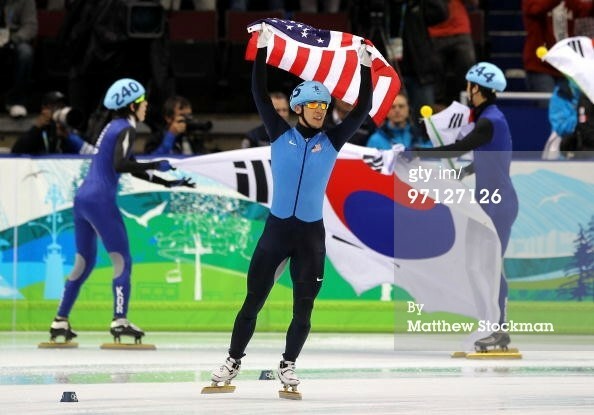 He wanted to make sure he did everything that he could do before going to ice and practicing for short track. This article is a schedule that shows Jordan Malone's upcoming races. This is important because if you want to watch him live or know when his races are coming up this is the place to look! This is actually a really interesting site to look at. This site provides a short bio about Jordan Malone. The most important part is that is shows all of the races Jordan has participated in and all of his accomplishments and medals/awards and places he has came in. This is an article I personally wrote about Malone. In this article it talks about his injuries, Also it shows how much he been through, and overcome, and how strong minded he is to be/keep doing what he is doing. Things to know about Short Track Speed Skating. Short-track speedskating has been an Olympic event since 1992, but the competitors say that much remains unknown about the high-paced sport. If you would like to know a little bit more about speed skating this could answer some of you questions. The video is not very long but it does give some good information from people that are actual speed skaters. This is a good video to watch. In all honesty this is the best website to go to. It tells you exactly what, and how the skaters skate and they techniques. It has 3 videos and 3 tips. A some point in the video it looks 3D. This is the most interesting video by far. You definitely should watch this video. 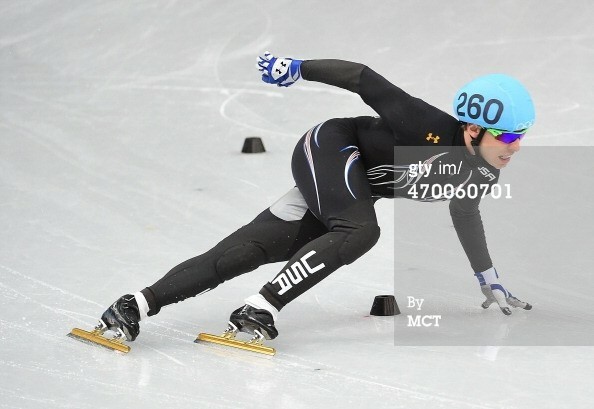 This is a picture of Jordan recently competing in the men's 500 relay race on February 18, 2014. This is one of the techniques they do while going around turns. This picture is of Malone when he raced on February 26, while racing in the men's 500 . He celebrates the United States bronze medalist win. I found this information within these websites. The first site below is where I got my pictures. It has over 300 pictures of Jordan and the us team. If you click on the picture it shows where that picture is from and what the picture is about or for.